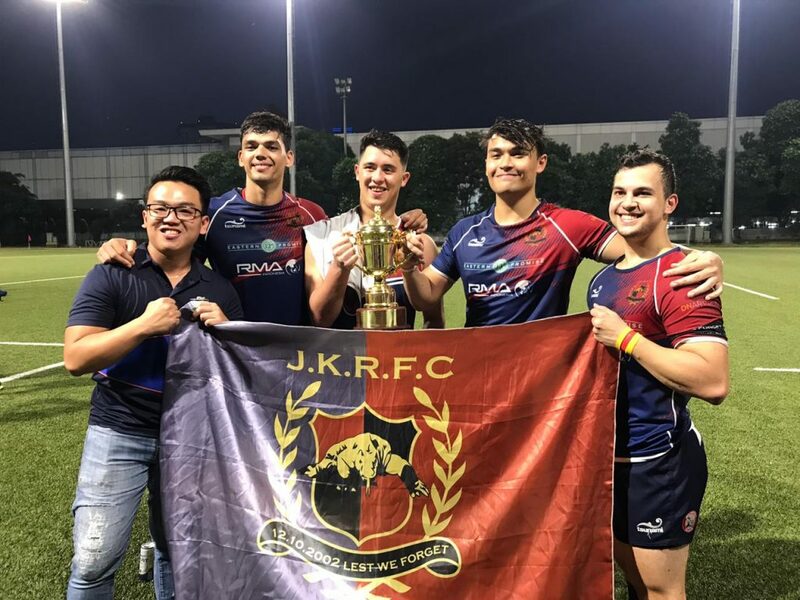 The Jakarta XVs Series 2019 played the final round of the competition last Saturday, 30 March 2019 in a festive atmosphere to be enjoyed by all greater Jakarta Rugby fans that attended. 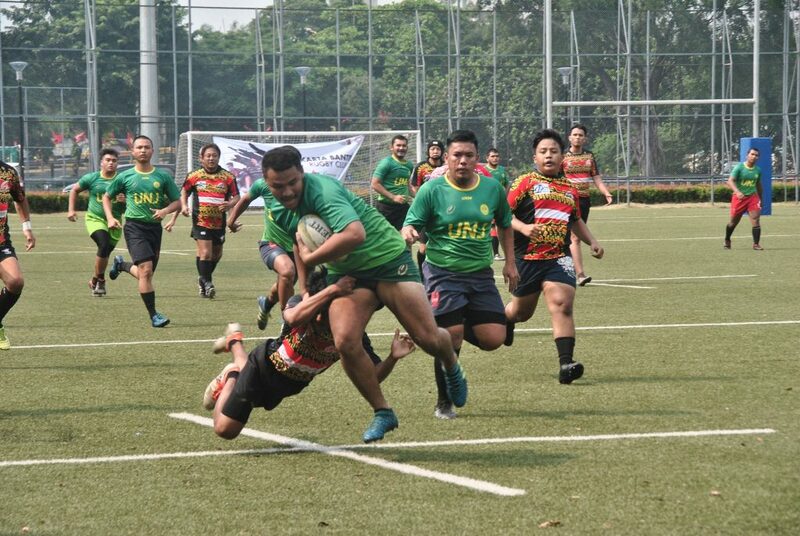 A legacy of last year’s 18th Asian Games, the Senayan Rugby Field as Indonesia’s first dedicated Rugby field stood witness to the final round, attended by around 100 fans from the region. 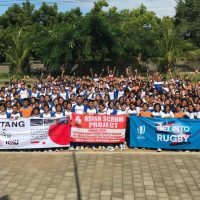 The event began with two of the newer teams in Indonesian Rugby, Banten Rajawali and Rusa Bogor, playing in a game of Rugby Sevens under the heat of the midday sun. Bogor shocked the Banten team and the fans as well as they surprisingly drew first blood early in the first half. Banten however were quick to consolidate and replied with several quick tries of their own, eventually leading at the half 15-5. 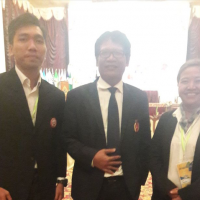 The attacking Banten team headed by players Bayu, Erlang and Dhito continued their onslaught against Bogor who were led by player/ coach Kevin Romario and newly-recruited star player, Pino. 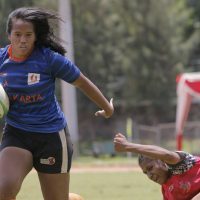 Bogor’s resilience was not enough to overcome the Banten gameplan and the game was won by Banten 32-12 at the final whistle. The second game of the day saw UNJ play Banteng Ladies in the Women’s Rugby Sevens category. Having lost their last match, Banteng Ladies were very eager to seek revenge. Two quick tries in the first three minutes by UNJ surprised the Banteng Ladies. Several chances from Banteng Ladies’ forwards Keizya,, Nancy and Sarah along with the speed in their backline in the form of Essy and Gomez was not enough to create the attacking space they needed. Some relatively new faces in the UNJ squad added to their experienced forward play and they continued their attack methodically. The pace of Nissa and Rara along with charging play led by Dhea and Iin brought victory to UNJ, 37-0. 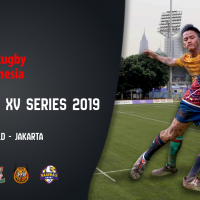 In the final for Third Place in the Jakarta XVs Series 2019, UNJ faced JJRG. Playing their big men in the centers and wings, UNJ gained the upper hand early on in the game against the somewhat incomplete JJRG team. The UNJ forwards led bby Leo and Yusuf continued their crashing through and absorbed defenders opening gaps for Aris, Andre and the rest of the backline to attack. 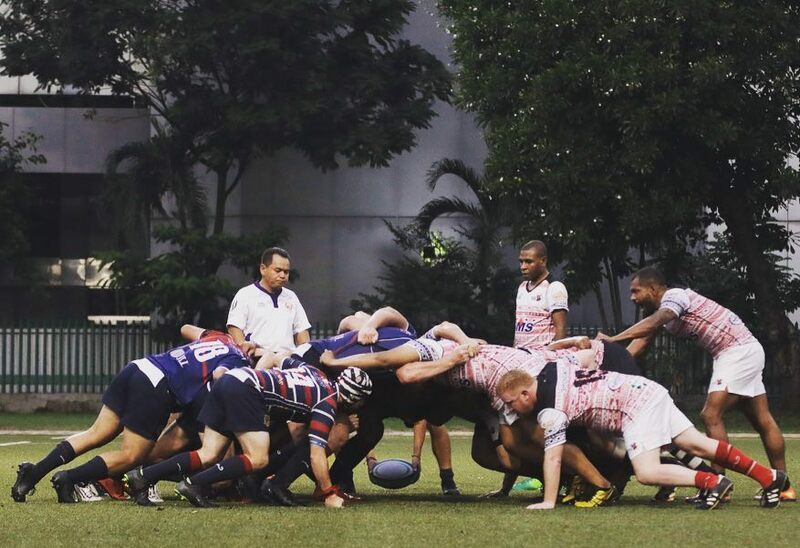 UNJ continued their assault with try after try that had the JJRG team on their toes and having to consolidate their game plan continuously on the field. 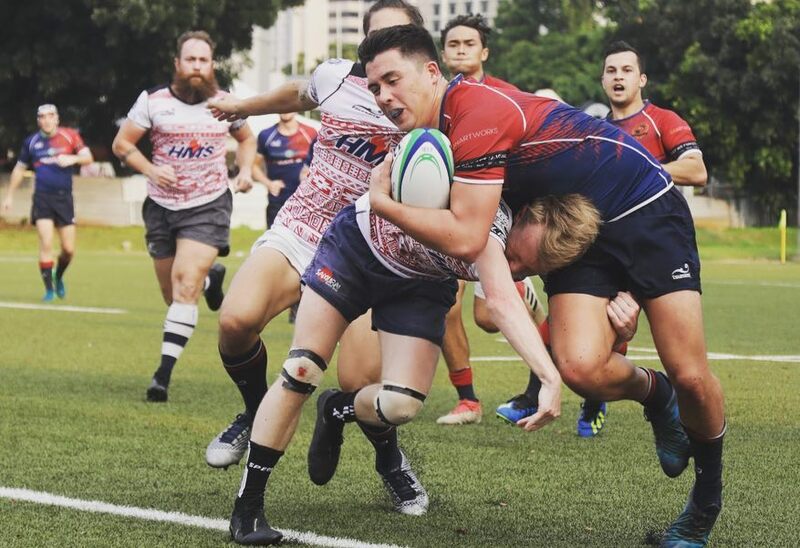 Having some players play their first XVs game did JJRG no favours but their tactic of playing the pick and go gave UNJ a run for their money. 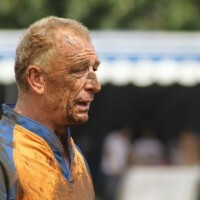 The relatively older and more experienced JJRG team attacked phase by phase and managed to score two tries. 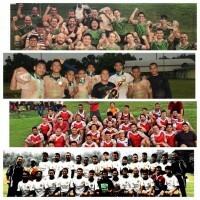 It was not enough however as UNJ came out on top at the end, taking the match and Third Place, 90-10. 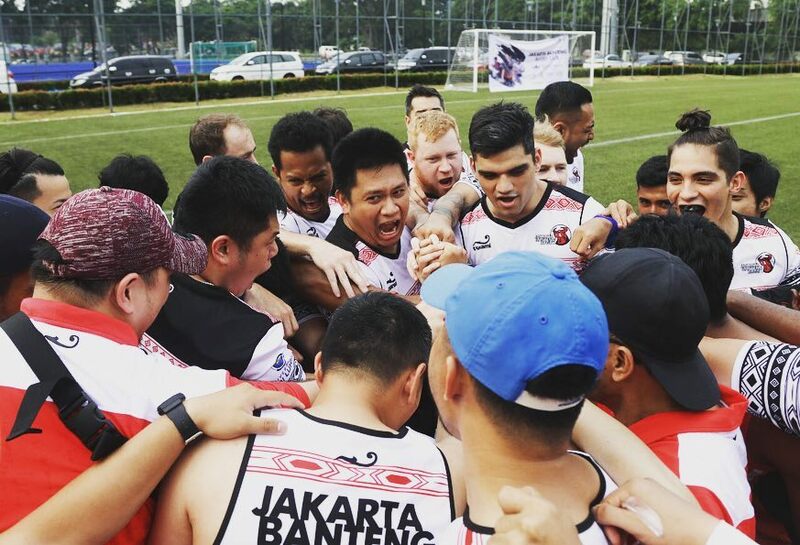 In the Final game that everyone was looking forward to, Jakarta Banteng Rugby Club once again faced their old foes the Jakarta Komodo. Banteng’s solid defense early in the first half eventually could not contain the Komodo’s relentless forward play, led by their front-row trio of Will, Daniel and Ewan. The dominating Komodo scrum also had the Banteng on the back heel at times but they replied with their kicking game that aimed to gain ground and managed to recover territory for some time in the game. A few chances were to be had for Banteng, led by Alex at half-back and Scott and Stephen in the centers. A mention must also be made for Nate and Banteng forwards Marco, Browny and Russlee who diligently took on wave after wave of Komodo attack spearheaded by Dominic, Justin and Glen. 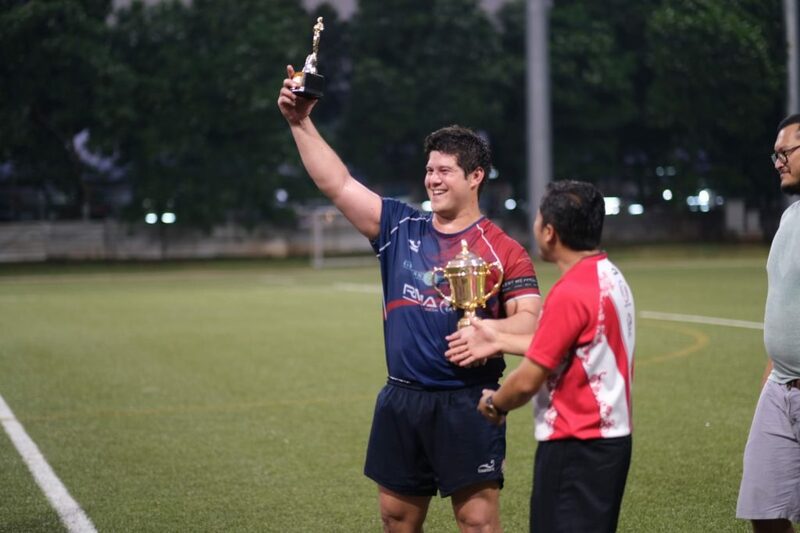 Ultimately though, the tough, fast-paced game ended with another victory for Komodo 32-7.